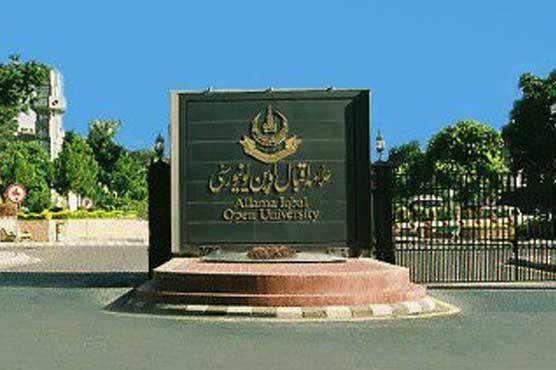 ISLAMABAD: Vice Chancellor (VC) of Allama Iqbal Open University (AIOU) Prof. Dr. Shahid Siddiqui said that the AIOU will soon launch academic programs, Master, M.Phil and PhD- level on ‘Seerat-un- Nabi’. He made the announcement during his address to a ‘Mehfil-e- Naat’, held here at the University as a part of ‘Jashan-e—Milad un Nabi’, which was arranged by the University’s Employees Welfare Association (EWA). He further announced that the University will arrange competition for writing books on ‘Seerat-un- Nabi’ on annual basis and the best book will be awarded special prize. The University will continue to lay greater focus on projection of the teachings of Quran and Sunnah through diversified activities in order to motivate the students to follow the same. A research journal on ‘Seerat-un- Nabi was recently published by the University that has been declared the best academic publication of the year 2017. The AIOU won four other national awards on promotion of ‘Seerat-un-Nabi’ campaign. “The teachings of the last Prophet Hazrat Muhammad (Peace be Upon Him) is a best source of inspiration and guidance for having a successful life here and hereafter.”, he added.